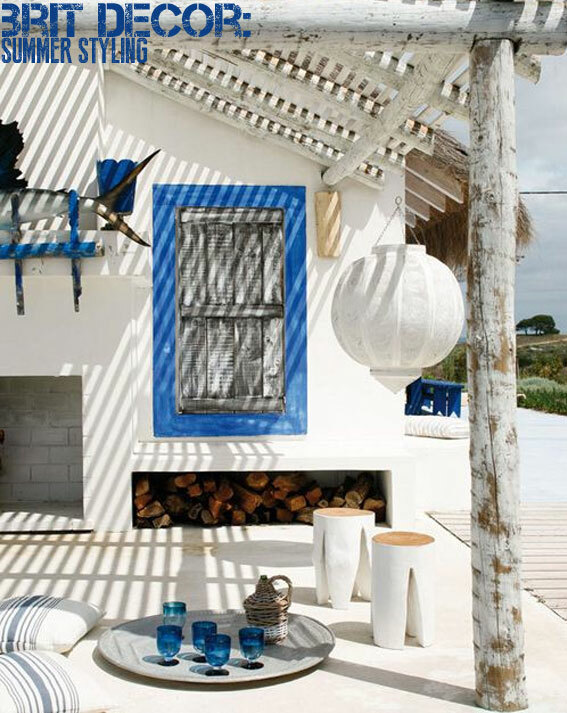 Whether or not you are going to be a Brit abroad this Summer, you can still bring a holiday feel to your home. 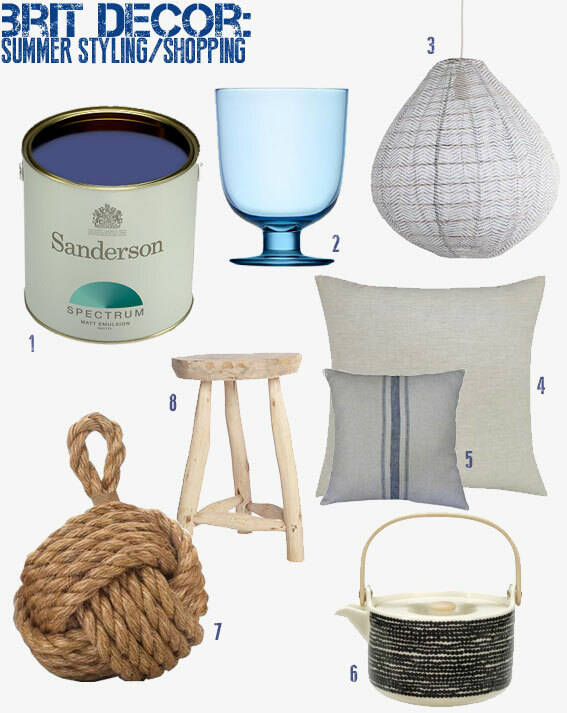 Here I've opted for a seaside blue and white theme with a Greek feel to it but you could add any colour to the mix so long as it is bold and beautiful! This will help to create your very own holiday escape interior. I hope you find some inspiration from the shopping picks below. 6 Marimekko In Good Company teapot, Heals £67 7 Rope knot doorstop (small) Salcombe Trading Company £50 8 Nature Stool, designvintage.co.uk £105. Keep cool and carry on!